Summer is one of the most exciting times of the year for kiddos — right behind, or perhaps tied with, winter holidays and their birthdays. But your family dentist in Brampton knows that during the season of sleepovers, popsicles, and long games of backyard football, kids’ oral health may be at-risk. 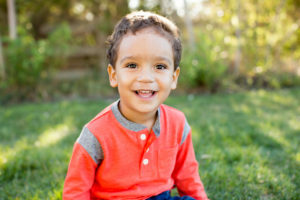 Instilling some habits now can help to keep your little one’s smile healthy during July and August — keep reading to find out what these summer tips for healthy smiles are! Your child may be planning on going away to camp this month or next. And before and after camp will probably come sleepovers with friends, late nights and mornings at grandma’s, or your own family vacation. It’s exciting when your little one spends a night or two away from home — but sometimes, this break in the routine can result in forgetting their good oral health habits. Before they go, make sure to check and make sure they have packed the three most important items: toothbrush, paste, and dental floss! Of course, it doesn’t really matter if your child brings the right items if they don’t use them. At the beginning of the season and periodically throughout, make sure to discuss the importance of keeping their smiles clean and healthy during he summertime. It doesn’t hurt to remind grandma and grandpa of how to follow the oral hygiene routine you have developed at home, either. While this time of year wouldn’t be what it is without a nice ice cream cone relished poolside, consuming all of these treats can leave your favorite smile at an increased risk of developing tooth decay. To help mitigate the effect of all the sugar your child is likely getting outside of the home, stock your own pantry with plenty of healthy, nutritious, and low-sugar foods. Did you know that sports injuries are the #1 cause of dental emergencies? If your child is taking part in summer league football, baseball, basketball, or any other contact sport, it’s a good idea to protect their smile. Talk to your dentist about having those pearly whites fitted for a personalized mouthguard! This is a small, comfortable device that can reduce dental injuries as well as the risk of concussion. July and August are the perfect time to schedule a checkup and cleaning for your whole family! Make sure your little one is marching through the hot summer months with a healthy smile so they are ready to start school with a healthy smile in a month or two. Don’t hesitate to get in touch with your dentist in Brampton for an appointment today! The team at Torbram Dental is known for providing high-tech, soft touch dentistry from a modern dental practice. From the littlest in your family all the way to great grandma and grandpa, their team of doctors offers comprehensive services for patients of all ages! Don’t hesitate to book a visit by calling their office at 905-792-7163 today.